How many times have you heard someone use the excuse “I can’t, I’m too busy” or “I just don’t have time”? I am sure we have all caught ourselves using these excuses, and probably fairly often in our lives, but when you think about it, why are we so busy? And what makes us so busy that we can’t find time to do things that others who are just as busy, if not more, can? This is probably most common when it comes to relationships and dating, but when it becomes our go-to excuse to get out of doing things out of our routines, it can hold us back from personal growth in a way in which we don’t even realize is happening. Everyone is busy! Of course, there are days where we just cannot or do not want to fit another item on the agenda because we are just completely swamped, but that is not the busy I am talking about. It is the “busy” that surrounds our day to day lives that makes us feel like we don’t have time to take on anything new, such as start a new project, learn a new skill or even make a new friend. We all have times where we just don’t feel like doing something, and being busy is the easiest thing to say where others won’t question your excuse, but the more you do it, the more you fall into the routine of actually believing that you don’t have the time to do things and you create a habit of saying “no” to people and experiences. Time is precious and everyone’s time is valuable. The important thing is to recognize that you are only too busy for the things you don’t want to make time for. If you care about something, you have to find the time to make it happen. Don’t believe that you are too busy to catch up with friends, take a trip, or go back to school. You will only set yourself up to miss out on something that could have been really fun or memorable, or even something that could have changed your path. There is a lot of power in taking control of our own time, and there are always ways to work smarter or faster to accomplish your goals. Here is a really helpful blog about time management that is definitely worth a read if you are looking to maximize the time in your day. We are all busy because we are all students, teachers, business owners, employees, volunteers, parents, friends, athletes, and all of the other roles we play every single day. Make the time to develop yourself personally, socially, physically, etc. Text your friends back, show up to girl’s night, call your mom, do the things you have been meaning to do but didn’t make the time. Recognize the times when you don’t have to be trying to do a million things at once and just be present. 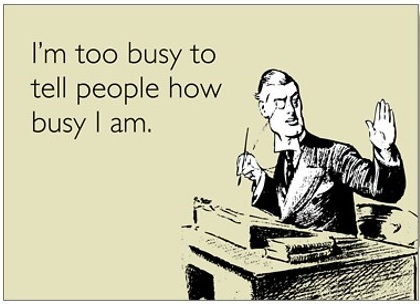 My challenge to everyone is to try and go a full day without using the word “busy”! Be conscious of how and when you are using it and notice how often others use it too. It seems like every week there is a different running event going on in Reno. In April, there are going to be at least 9 different races, each with different themes and charities to benefit, and that is not even including the Tahoe area. The running community in Reno has exploded in the last 10 years. Participate in one 5k and it will all make sense why. I grew up running in sports, but after high school it was harder to find the motivation without a coach telling you what to do and a team who you would let down if you slacked in your practice. I decided to run my first 5k when I was about 3 months pregnant with my first son. It was the Leprechaun Chase in downtown Reno and I felt confident because I had the best excuse ever if I needed to walk or was taking it slow. I was pretty intimidated and had no idea what to expect. What I found was that there were a lot of really fast runners, but also slow runners, walkers, parents pushing strollers, kids, and grandparents all running together. Families and friends cheered on strangers from the sidelines with motivational signs and chants. When I finished, I felt a huge sense of accomplishment and I felt like part of this incredibly supportive community of people who were all doing this thing together. Since then I have ran numerous races in Reno and Tahoe, and this will be my 5th year running the Reno Tahoe Odyssey, a 178 mile, 12 person relay race around the Reno/Tahoe area. Running has given me a sense of empowerment over my health, happiness and my ability to meet goals. I have learned to accept failures and to praise myself for my efforts. Overall I have become much more resilient, and that has given me confidence to take on other goals that I might have otherwise felt were out of my reach. Our RTO team crossing the finish line together. There are a lot of factors (technology, careers, families, busy lifestyles) that contribute to making it harder for us to find the time and confidence to connect with others. We naturally crave connections with others, and it is so important to invest your time into something where you feel a sense of belonging; where you are part of a tribe. They push you to be your best and elp lift you back up when you are at your worst. In a running community, everyone is at a different level and no one judges your speed or your process, but rather they praise you for just being there and giving your best. It is a great discipline to teach yourself strength, not only physically to push through when you feel weak, but also mentally to talk yourself through it and believe that you can succeed. Belonging to a group lets you see that people are not judging you, and that they value your presence, and helps you work on accepting others and letting go of your own judgments. There are a lot of curve balls that life throws at us, but with running, you are in complete control. You set your goals, find motivation from within, and tell yourself when it is time to push harder, take it easy, or call it a day. Your performance is the outcome that comes solely from the motivation you give yourself and the actions you take. There’s no one else to blame if the outcome isn’t what you expected, and there is a lot of personal accountability that comes from that. There’s also a lot of personal gratification and there’s nothing like the feeling of running that last stretch to the finish line and knowing that all of your hard work has paid off. The best part; the only way to fail is to give up. You ran 5 miles yesterday and only a half mile today? Awesome! You got out there and did it. Small efforts still make a contribution to your goals; don’t give up. Running isn’t easy, especially if you are just getting started. Every season when I start to train for the Odyssey, I am dying trying to run a few miles. It is something that you work on day after day and you can definitely set yourself up for failure if your goals aren’t realistic or if your negative self-talk is overpowering you. When you come across something that is physically and mentally difficult and you are able to push through that and keep going, that resiliency that you build up spreads to other aspects of your life. You start to see that you are strong and what you are capable of if you really apply yourself, and that is a powerful feeling. If you live in Reno, check out a list of upcoming races here, and even more are listed at www.race178.com. Regardless of the level you are at now, I encourage you to sign up for a 5k in your city, even if you want to walk it. You might surprise yourself how much fun you have while setting goals for yourself, building strong transferrable skills and most likely benefitting some local charities too. Few things feel more amazing than accomplishing something on our own that we didn’t think was possible. Have you ever known someone who is really handy and can fix or figure out anything? Or maybe they are the kind of person that can travel on their own to unknown places almost fearlessly? Many of us would describe ourselves as self-reliant and open to learning new things, but in reality, self-reliance is diminishing. We live in a time where we have such a vast amount of resources available that sometimes it may be easier or more convenient for someone else to do things for us. Life skills build on experiences that we have and people that we meet, while putting us in a position to better serve and help others who we care about. How do we build self-reliance? It happens through investing in our own skills and abilities. It comes from asking questions and seeking out answers in new experiences. Comfort and stability drives us to maintain our lifestyles through day after day routines and habits. When a daily routine turns into monthly and yearly routines, it makes it harder and harder for us to step out of our comfort zones and try something new. The less that we make a conscious effort to make a change and continuously improve ourselves, we lose the confidence in our capacity to do something else; something better. Through my own experiences of becoming a mom, a wife, a student and a professional, I have learned the powerful effects of breaking the habits that were holding me back from success. I used to be someone who made plans all the time. I would agree to any crazy idea that was thrown out there, and then when it came time to actually make it happen, I backed out. I loved the idea of going on adventurous trips and dreaming about what my life was going to be like in the future once I had accomplished something big, but I could never put it into action. I felt like I just didn’t have time, but later I realized that I was uncomfortable and afraid, and holding myself back. Growth can come from facing anxiety, discomfort and even pain, but overcoming those feelings once you have accomplished that new task is one of the best feelings in the world. The more new and uncomfortable experiences you have, you will gain the confidence to trust in your intuition and your own skills to shape your path for your future. I hope to use my own experiences and new experiments along the way to help people find their paths and create new habits that lead to resilience, wellness, self-respect and confidence. Follow along with me as we explore baby steps to life changers in the world of self-improvement. Ask yourself, what if you could do more? We all have the capability to obtain what we need, especially happiness.